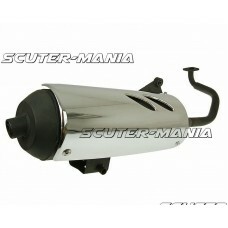 exhaust 101 pentru 139QMB GY6 50cc China 4T 12/13"
After-market exhaust pipe for GY6 50cc scooters with 12 or 13 inch wheels. 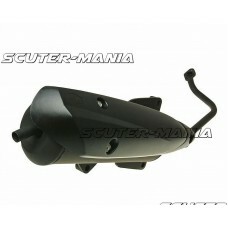 Compelling price! 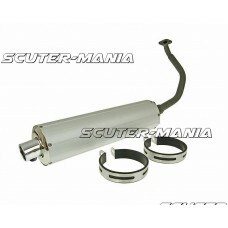 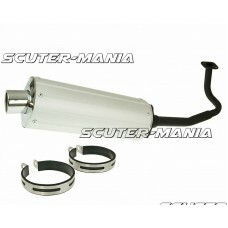 Deliver..
Aftermarket exhaust pipe for 2-stroke scooter models with 1E40QMB or 1PE40QMB engines at a very comp.. 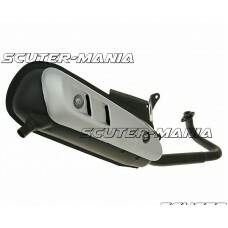 Low-cost scooter exhaust system in black with silver heat guard for all models with horizontal Minar.. 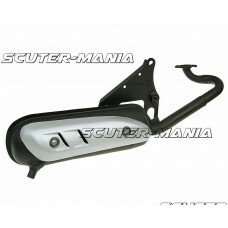 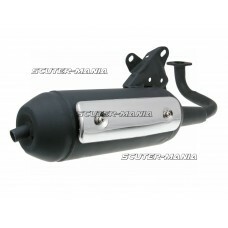 Low-cost scooter exhaust system in black with silver heat guard for all Peugeot models with upright .. 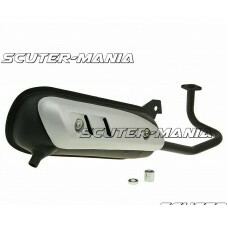 Some scooters are sent from the factory with two rear shock absorbers. 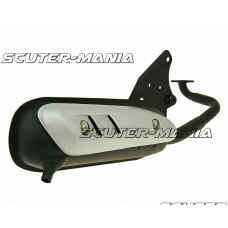 These models mostly use alumi.. 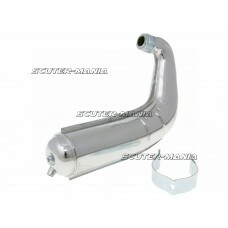 Effective standard replacement exhaust. 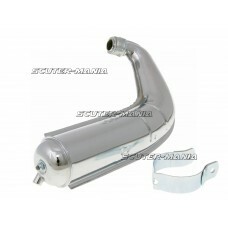 With this exhaust system customers are in the right place i..
OEM exhaust for Vespa 125, 150, PX, Sprint, GTR, GL, Super, GT, TS. 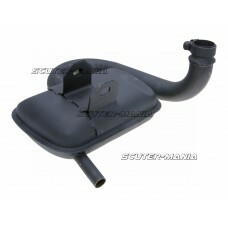 Genuine Piaggio replacement part.. 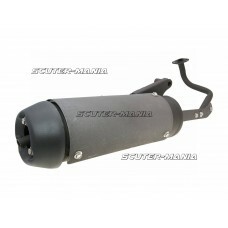 Replacement exhaust system for 2 stroke scooters with the 1E40QMB and 1PE40QMB engines. 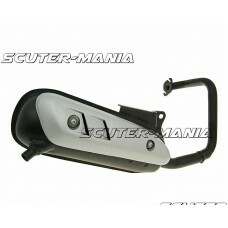 This exhaust..
Throttle cable for 125/150cc 4-stroke Chinese-built scooters. 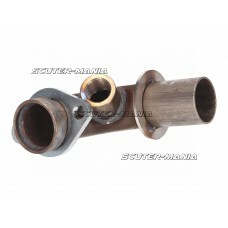 The throttle cable has a length of 212..